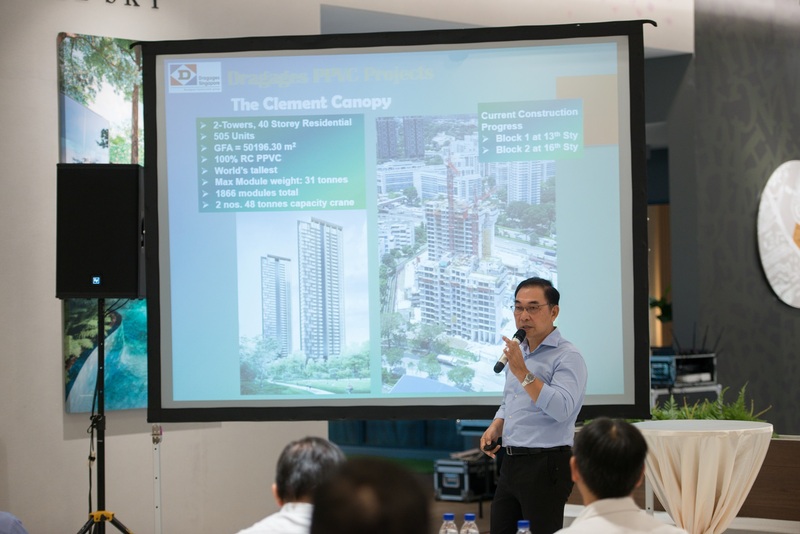 On 21st September 2017, Dragages Singapore was honored to have Mr. Lawrence Wong, Minister for National Development and Second Minister for Finance, visit the Clement Canopy to understand about the design concept and to witness the construction of the highest concrete PPVC building project in the world. 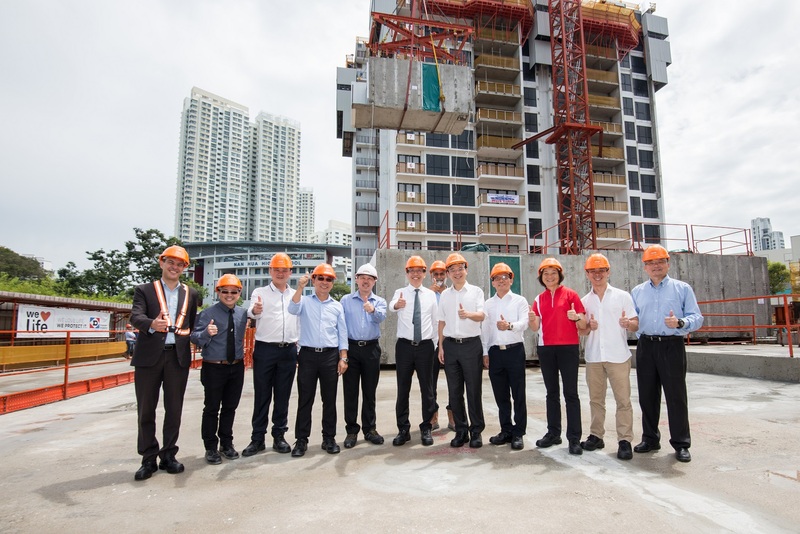 Our Managing Director, Mr. Julien Esch, and Executive Director, Mr. Allan Tan, together with United Venture Development and ADDP Architect management welcomed the minister on his arrival. 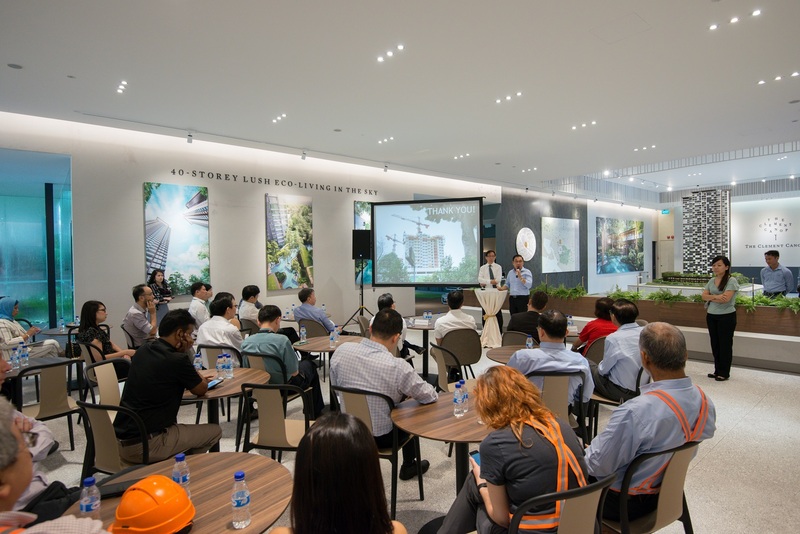 The visit commenced with the presentation by United Venture Development management following presentation by Dragages Singapore regarding the PPVC system experience and application for the Clement Canopy project. 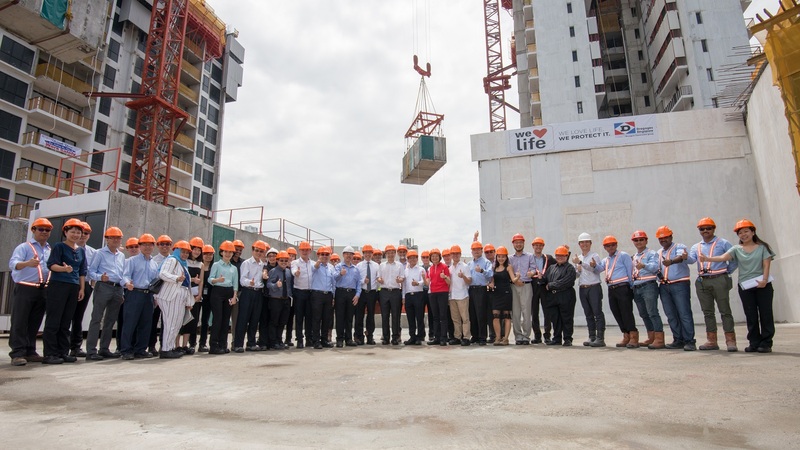 After the presentation and Q&A session, the minister and the guests were invited to join the site visit to witness the actual installation process of the PPVC module and to see the end result of the apartment unit. 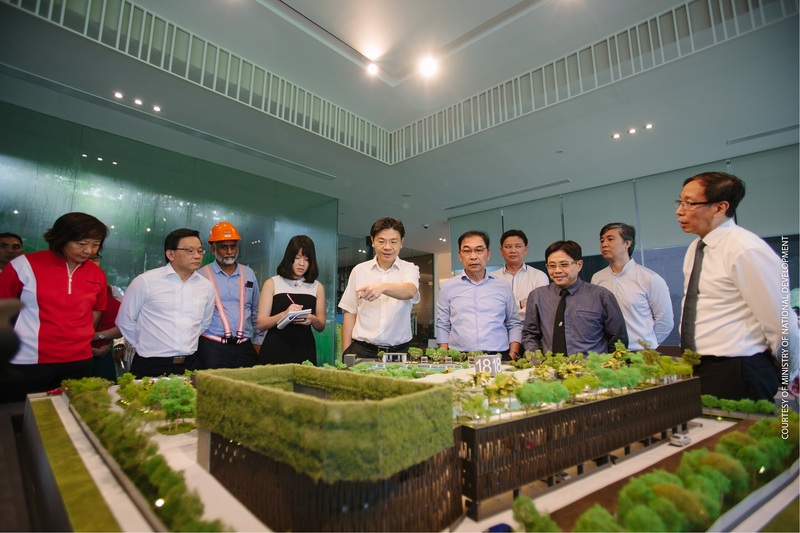 Before his departure, the minister and guests were also invited to see the show flat units at the show gallery and to admire the beauty of the design of this development.